BA221 Purified Protein from Human Serum. AR51850PU-N Recombinant human ICAM1, fused to hIgG-His-tag at C-terminus, was expressed in insect cell and purified by using conventional chromatography techniques. AR51850PU-S Recombinant human ICAM1, fused to hIgG-His-tag at C-terminus, was expressed in insect cell and purified by using conventional chromatography techniques. BIN024 Recombinant Hepatitis B Virus Core Antigen. Full length Hepatitis B core protein, 183 amino acids. Does not contain a fusion partner. Major immunospecific band migrating between 20-25 kDa (approximately 19kDa) and produced in Pichia pastoris. AR05062PU-N Acetylated Low Density Lipoprotein (AcLDL) is taken up by cells via scavenger receptors and has been used as a mechanism of targeted drug delivery and in combination with saporin for the depletion of specific cell types. AcLDL behaves like oxidised LDL, both of which are degraded within lysosomes. AR05063PU-N Native oxidized Low Density Lipoprotein from human plasma. Low density lipoprotein (LDL) oxidative modification is one of the major processes involved in atherosclerosis along with other degenerative disorders. Oxidised LDL is preferentially accumulated by macrophages which become so called "foam cells" within the atheromatous plaque and contributes to the accumulation of cholesterol, typical of atherosclerosis. AR31021PU-N Recombinant HTLV-I gp46 Recombinant HTLV-I gp46 (a.a. 165-440). Recombinant HTLV-I gp46 immunodominant region (a.a. 165-440). Contains a 6-HIS tag at the C-terminus. Reacts with Human HTLV-I/-II positive serum. AR31022PU-N Human Hemoglobin A1c (HbAlc). AR05238PU-N Secretory IgA is derived from human colostrum and is predominately in dimeric form, the monomers being linked by immunoglobulin J chain. AR31201PU-N Hepatitis B Surface Antigen (HBsAg), ad subtype. Inactivation: Heat Inactivated at 60°C for 15 hours. AR05037PU-N Many lots have been evaluated for the specific labelling of bovine aortic endothelium, HUVECS, murine macrophages and the current lot was evaluated on P-388D cells. BA222 Native Human Fibrin Degradation Product E, purified from Serum, prepared by Salt Fractionation, Gel Filtration and Ion Exchange Chromatography. AR51134PU-N Recombinant human SPN protein, fused to His-tag at N-terminus, was expressed in E.coli and purified by using conventional chromatography techniques. BA220 Purified Fibrin Degradation Product D Dimer from Human plasma. AR31020PU-N Recombinant HTLV-I gp21 Recombinant HTLV-I gp21 (a.a. 351-404). Recombinant HTLV-I gp21 immunodominant region (a.a. 351-404). Contains a GST fusion partner at the N-terminus. Reacts with Human HTLV-I positive serum. BA390 Human Laminin is supplied as an immunoaffinity purified protein. AR00089PU-N Purified Human Myeloma IgA2 kappa. AR05046PU-N Native Ferritin from human liver. BA345 Human Myeloma Immunoglobulin G2 (IgG2), Kappa Light Chain. 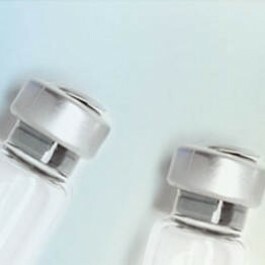 AR00028PU-N Human Cancer Antigen CA19-9 (Gastrointestinal Cancer) Antigen Grade. Known contaminants: 65 Units/ml (< 1%) Centocor CA125 RIA Assay. PA509X Total 154 AA. MW: 17 kDa (calculated). 153 AA of recombinant HBx protein and one extra AA, N-terminal Methionin (bold). AR05061PU-N Low density lipoproteins transport cholesterol and triglycerides to cells requiring them. They are delivered via LDL receptors in the plasma membrane, via clathrin coated pits to the endosomal pathway for further processing. BA400HS Purified Human High Density Lipoprotein (HDL). BA1089 Human High Density Lipoprotein-2 (HDL2) Subfraction. Purified protein from Human plasma. BIN027 Recombinant Human Immunodeficiency Virus Type 2 (HIV-2) gp36. Recombinant ecto-domain of HIV-2 gp36. Contains a 6 histidine fusion partner. Reacts with HIV-2 positive Human sera and monoclonal antibodies as determined by ELISA and Western blot. Major immunospecific band at 14 kDa. Minor bands at 5, 16, 18, 28 and 42 kDa. BIN025 Human Immunodeficiency Virus-1 (HIV-1), p24, Recombinant. Recombinant HIV-1 p24 from HxB2 strain (entire p24 protein - total 231 amino acids). Contains a 6 histidine fusion partner. Major immunospecific band at 23 kDa. Minor bands at 46, 20, 18 and 6.5 kDa. AR31202PU-N Hepatitis B Surface Antigen (HBsAg), ay subtype. Purified protein prepared by precipitation and gel filtration. Preparation: Precipitation and gel filtration. RA036B This product was prepared from normal serum by a multi-step process which includes delipidation, salt fractionation, ion exchange chromatography followed by papain digestion and extensive dialysis against the buffer stated above. Assay by immunoelectrophoresis resulted in a single precipitin arc against anti-biotin, anti-Human Serum, anti-Human IgG and anti-Human IgG F(c). No reaction was observed against anti- Human IgG F(ab')2 or anti-Papain. AR51134PU-S Recombinant human SPN protein, fused to His-tag at N-terminus, was expressed in E.coli and purified by using conventional chromatography techniques. AR05038PU-N Sample lots of this product are individually evaluated for the labelling of human skin fibroblasts or P-388D cells grown in lipoprotein deficient medium for 48 hours. BA1026 Cyfra-21-1 Antigen Cyfra-21-1, Cytokeratin 19 Fragment, Low Cross-reactivity (LCR) Calibrator grade. AR51735PU-S Recombinant human AKT1 protein, fused to His-tag at N-terminus, was expressed in E.coli. Specificity: A single arc was observed in Immunoelectrophoresis against antisera to whole human serum and human lambda light chain. BA223 Native Human Fibrin Degradaton Product X, purified from serum. AR00088PU-N Purified Human Myeloma IgA1 Lambda. AR50795PU-S Recombinant human CDH11 protein, fused to His-tag at N-terminus, was expressed in E.coli and purified by using conventional chromatography techniques. AR00112PU-N Lactate Dehydrogenase Isoenzyme 5 (LDH5). AR51735PU-N Recombinant human AKT1 protein, fused to His-tag at N-terminus, was expressed in E.coli. AR00108PU-N Human Lactate Dehydrogenase Isoenzyme 1 (LDH1). RA036 This product was prepared from normal serum by a multi-step process which includes delipidation, salt fractionation and ion exchange chromatography and papain digestion followd by chromatographic seperation and extensive dialysis against the buffer stated above. Assay by Immunoelectrophoresis resulted in a single precipitin arc against anti-Human Serum, anti-Human IgG and anti-Human IgG F(c). No reaction was observed against anti- Human IgG F(ab')2 or anti-Papain. AR00115PU-N Human Very Low Density Lipoprotein (VLDL). Single arc by IEP against antisera to whole human serum. Essentially free of other plasma lipoproteins as determined by electrophoresis using Fat Red 7B staining for lipids and Coomassie Blue for proteins. BA1000 Human Myeloma IgA1, Kappa. AR50795PU-N Recombinant human CDH11 protein, fused to His-tag at N-terminus, was expressed in E.coli and purified by using conventional chromatography techniques. AR05060PU-N High Density Lipoprotein (HDL) is a complex that transports cholesterol in the blood to the liver. It is the smallest and densest of the lipoproteins as it contains the highest proportion of protein. It is thought that high levels of HDL can help to remove cholesterol from atheroma in the arteries thereby decreasing the risk of heart disease.